There is no better way to improve your wildlife photography than in the best classroom in the world – The African Bush. This package will appeal to photographers of all levels of experience and ability who want a more immersive safari experience at some of the best photo locations in Botswana. No matter how much you think you know there is always something more to learn when it comes to wildlife photography and our guides will be on hand throughout this safari to help you do just that. The comprehensive Better Wildlife Photography Course is conducted during your time spent in the Chobe following which you graduate to Khwai Private Reserve located deep in the Okavango Delta. By the time you arrive in the Delta you should be shooting with confidence on one of the manual modes and off the Auto setting. 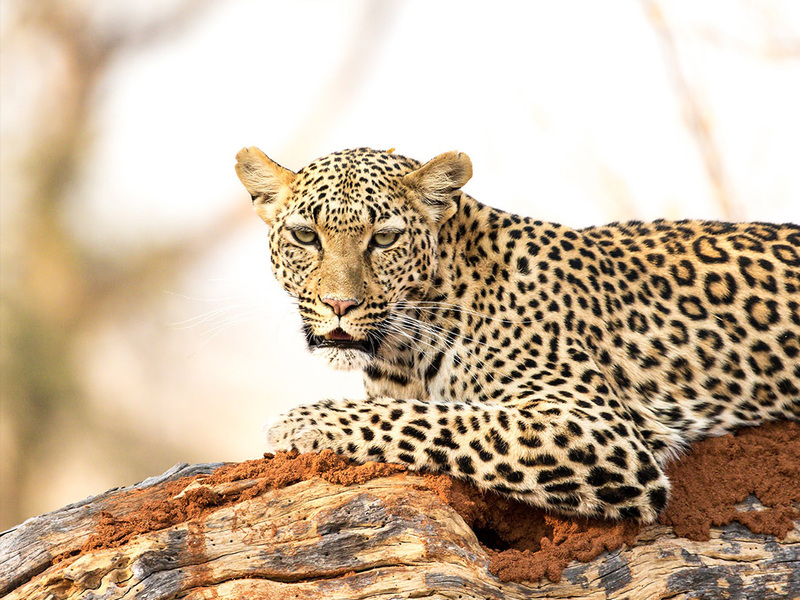 For this reason, our resident photo host will provide photographic guidance to you on a rotational basis during your game drives. If our camp is at maximum capacity with 12 persons in camp, the guide will join every third game drive as we have a maximum of four guests per game viewer. 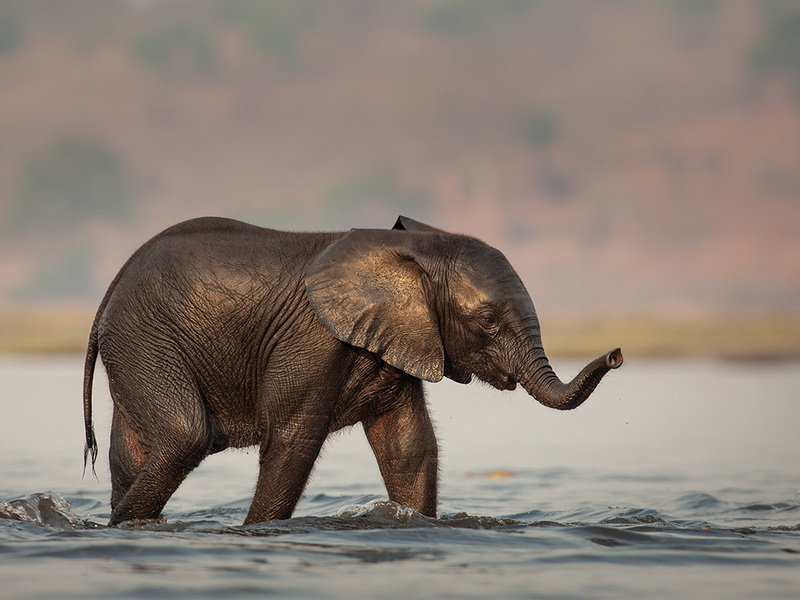 The Better Wildlife Photography Safari will help you to master your photographic skills whils spending time in two of the best photographic destinations in Botswana – the Chobe and The Okavango Delta. Each safari is hosted by one of our resident photographic guides who will be on hand to not only go through the basics but help you with some more advanced techniques to take your photography to the next level. If you don’t have a camera then you are welcome to use one of ours for the duration of the safari, free of charge. We will even supply you with all the memory cards that you will be filling each day! In between the morning and afternoon game activities, there will be time to spend with the guides doing post-production so we advise you to bring a laptop with you to edit and review your images in the group sessions. The course will take you from shooting on the auto/green setting to using the other modes controlling shutter speeds, apertures and ISO to maximise your creativity. the guides are there to not only help with the technical aspects but also to advise on how best to compose your image and to anticipate the movement and behavioural quirks of the subjects you encounter. 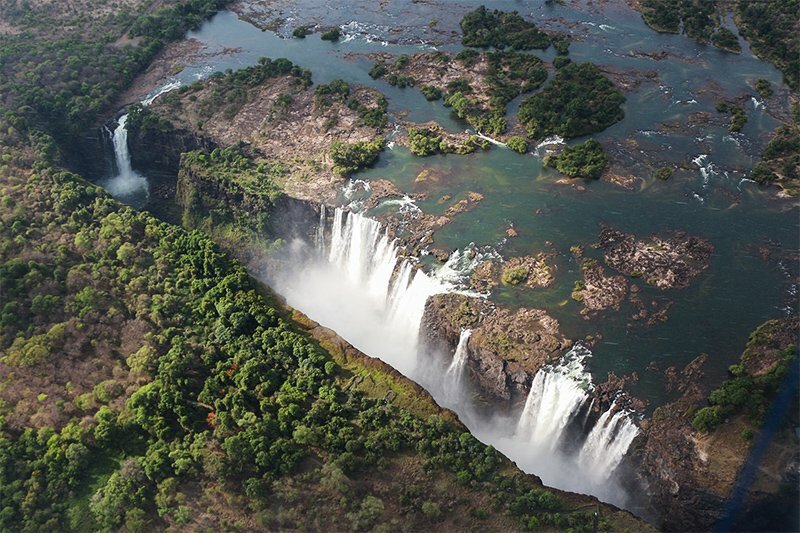 On the first day, you will be met at either Kasane airport or the border (if you have started your safari in Victora Falls for example) by your photographic host who will be with you for the first leg of this safari. The photographic hosts are permanent Pangolin staff and are all expert photographic guides with years of wildlife photography experience under their belts. 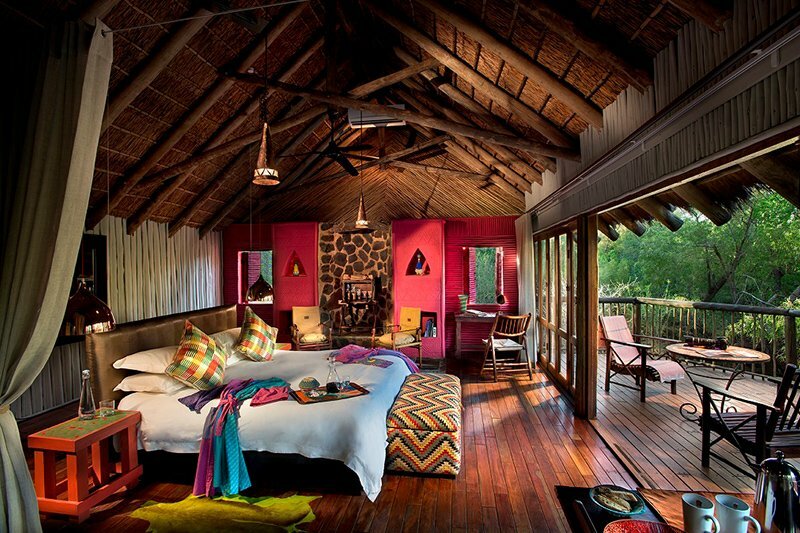 You will then make your way to the Pangolin Chobe Hotel. When you arrive you will be issued with your camera. If you have chosen to use your own camera then this will be an opportunity to show it to the guide so that he or she is aware of the brand and model to adapt to your specific needs during the safari. 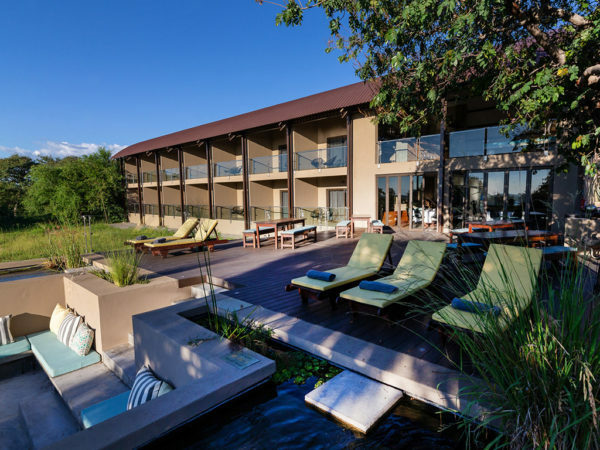 Our 14 room hotel on the hill overlooking the Chobe Floodplains will be the regions first hotel dedicated to the needs of today’s modern wildlife photographer. Each of the rooms has a view over the floodplains with a private balcony and ensuite shower and toilets. The rooms are all airconditioned with plenty of plug points and storage space. At the Chobe Hotel, we will be doing a mixture of water and land-based activities in either the photo boats or the Unimog. All meals and drinks are included at the Chobe Hotel. 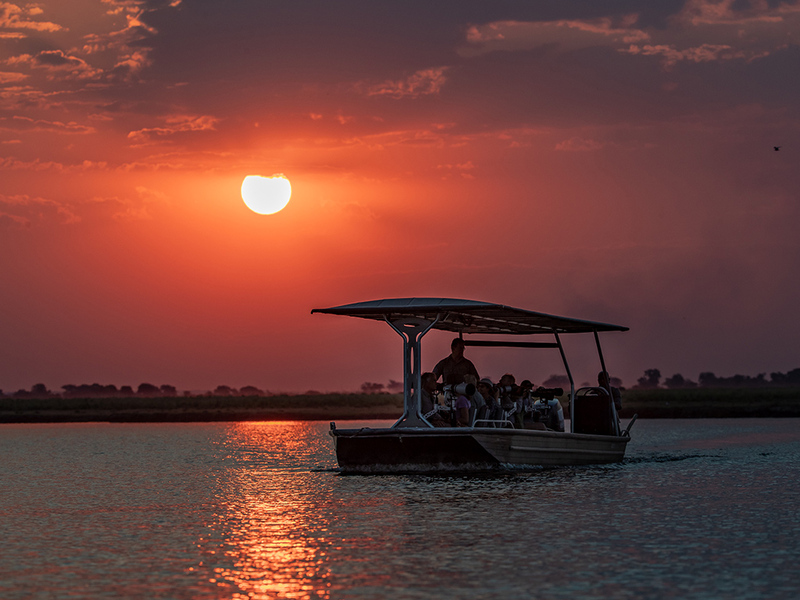 On the fourth day, you will travel with your guide across to the Namibian side of the Chobe River to meet up with our floating lodge – The Pangolin Voyager. 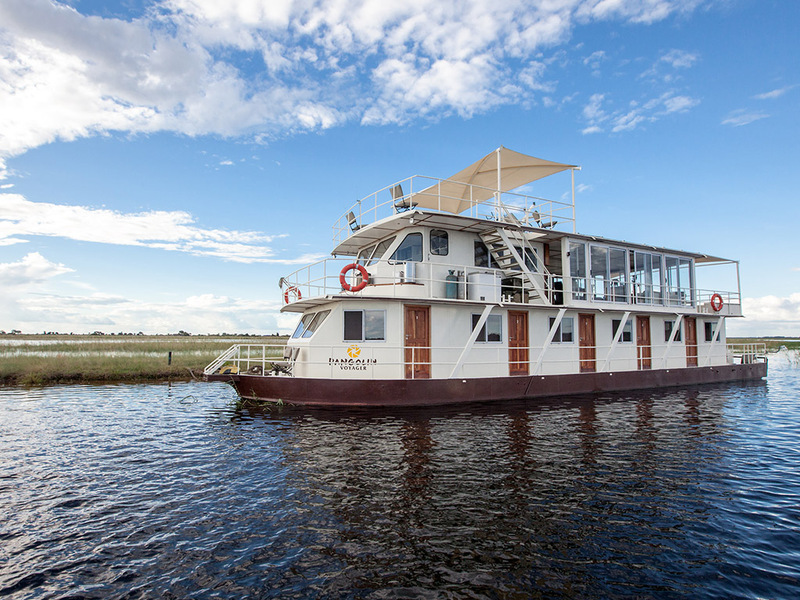 The Voyager has four guest cabins and one for the guide all of which are ensuite and airconditioned. The beds in the cabins can be configured as either doubles or two singles. The beds all have top quality linen and there are plenty of plug points. On the middle deck of The Voyager is a lounge and dining room which doubles as an editing table for mid-afternoon post-production sessions with the guide. On the upper level is a wonderful sun deck with loungers where you can relax with a good book in between drives. All the activities on The Pangolin Voyager are on one of our custom built 8-seater photo boats and your guide will be on hand to continue improving your photo skills during the cruises. On the seventh day, you will check out of Namibia after brunch and head back over to the Botswana side and on to Kasane Airport where you will board your private charter flight to The Okavango Delta which is where the Pangolin Khwai Camp is situated. The flight takes just over an hour. At this point, you will bid farewell to your Chobe photo guide who will hand over the reigns to your new guide and instructor who resides in The Delta. All of the guides rotate through our various properties so they will have first-hand knowledge of what you would have already seen and photographed and what you have been taught so far. By the time you arrive in The Delta you should be shooting with confidence on one of the manual modes and off the Auto setting. 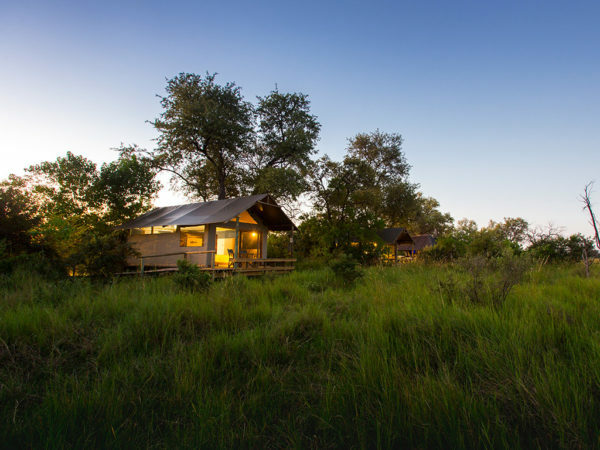 The Camp is situated on the 200,000ha Khwai Private Reserve which is a concession bordering the Khwai River. You will land at the airstrip on the reserve and met by your guides who will take you on to the camp in custom-built game viewers which each seat a maximum of four photographers. The accommodation at the Camp is in large permanent tents with ensuite toilets and showers as well as electricity and a ceiling fan. the beds can be configured as doubles or singles and there is plenty of room for luggage and storage. The central area of the camp features a dining area, bar, camera storage and charging station, an editing table as well as an outdoor sunken lounge and fire. The camp takes a maximum of twelve people at any one time and all the meals and drinks are included. The beauty of being on a private concession is the fact that we can spend plenty of time at sightings as well as being able to “off-road” for special subjects like the big cats and wild dogs which are certainly prevalent in the area. While at the Khwai Camp you will also be able to experience that most quintessential Delta seasonal activity which is in a traditional dug-out canoe called a Mokoro. 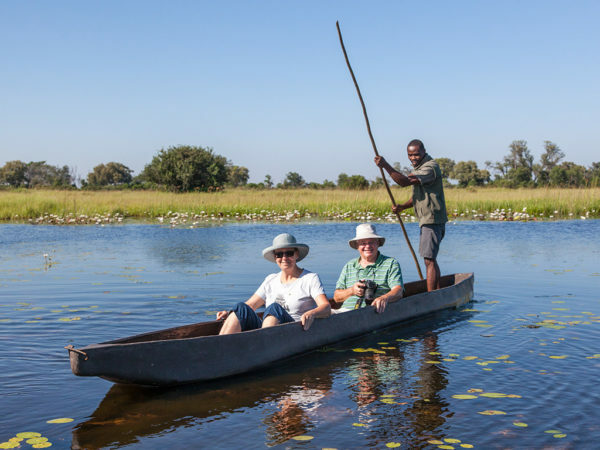 Being punted through the water channels by an experience poler in the Delta is a wonderful experience and certainly a big tick off the bucket list for most safari enthusiasts. With the private concession being so big and with so few other vehicles you will spend the last few days of your safari exploring the area and rarely seeing anyone else. There will also be an opportunity to get off the vehicles and take a walk through the bush with a specialist guide. During the day the resident photo guide will be able to assist you with further post-production around the editing table which has views out over the open grassy wetlands in front of the camp. The comprehensive Better Wildlife Photography Course is conducted during your time spent in the Chobe following which you graduate to Khwai Private Reserve located deep in the Okavango Delta. By the time you arrive in the Delta you should be shooting with confidence on one of the manual modes and off the Auto setting. For this reason, our resident photo host will provide photographic guidance to you on a rotational basis during your game drives. If our camp is at maximum capacity with 12 persons in camp, the guide will join every third game drive as we have a maximum of four guests per game viewer. 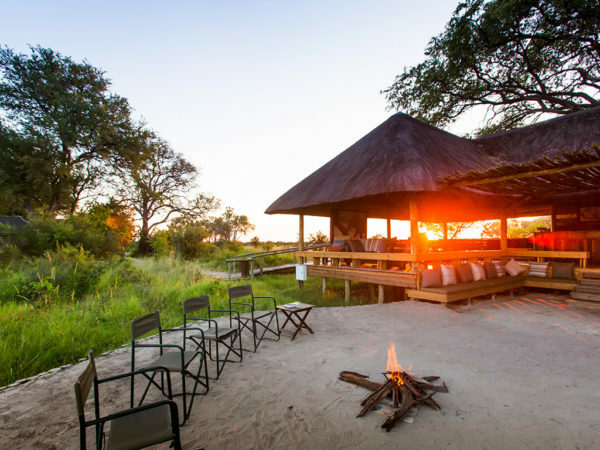 On the last day, you will set off from the Camp after a hearty breakfast to meet up with your charter flight to the airstrip for your flight onwards to Maun which is known as the gateway to The Delta. 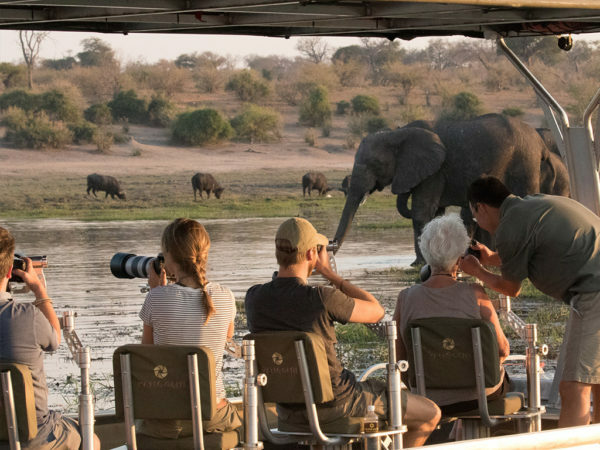 Your adventure need not end here however as there are daily flights onwards to Madikwe and our amazing Terrapin Hide at Jaci’s Tree Lodge or even slightly further to Cape Town where we offer comprehensive itineraries involving private day tours. 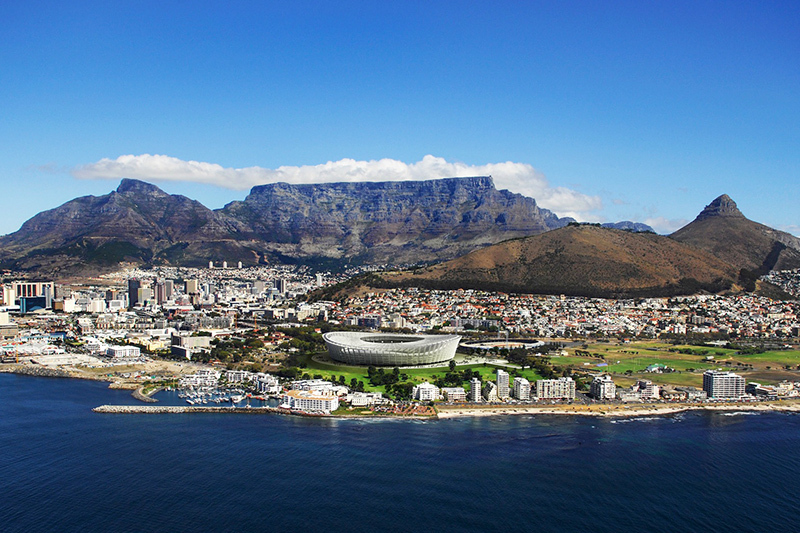 Cape Town is a perfect contrast to the bush but still offers plenty of photo opportunities and all our guides are also photographers. We believe this is the most comprehensive and varied photo safari itinerary for anyone with even the slightest interest in photography. By the end not only will you have a healthy set of photographic skills but you will have enjoyed some of the best safari destinations in the region all under the dedicated care of one company – Pangolin Photo Safaris. Even if you are an accomplished photographer it’s sometimes better to go back to basics and work your way through an itinerary like this as there will always be things that you may have forgotten or perhaps were never taught in the beginning. Spending time with guests who know these areas and the subjects who live here will certainly improve your photography and nearly always teach you something new.